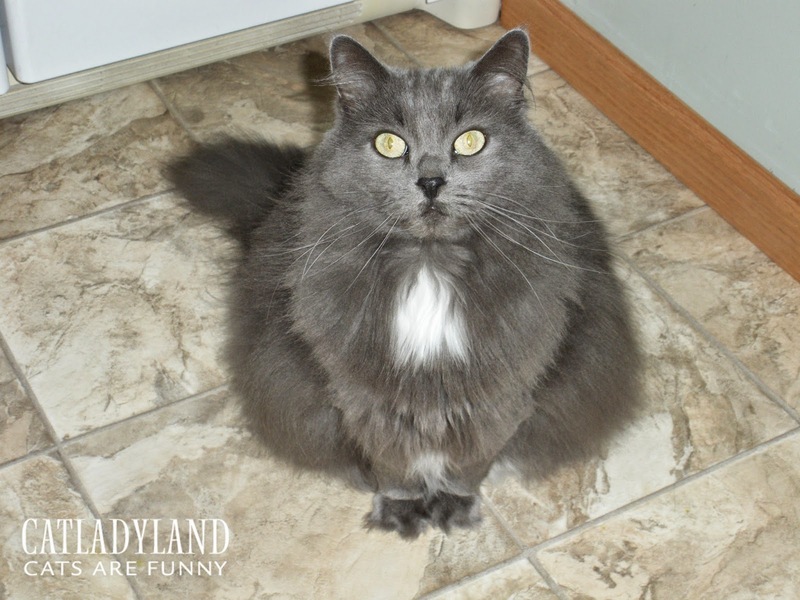 Catladyland: Cats are Funny: Help Your Cats Find Their #PerfectWeight AND Win Prizes! Help Your Cats Find Their #PerfectWeight AND Win Prizes! But seriously, obesity is a real problem among both people and pets. According to the Association for Pet Obesity Prevention, more than 50% of pets in the U.S. are overweight. In fact, a few years ago we took our Saffy to the vet and she'd gained three pounds, which -- compared to humans -- is nearly 30 pounds! Crazy! Saffy was around ten years old at that time, and had grown less active with age. Plus, she's always been a food-jacker. 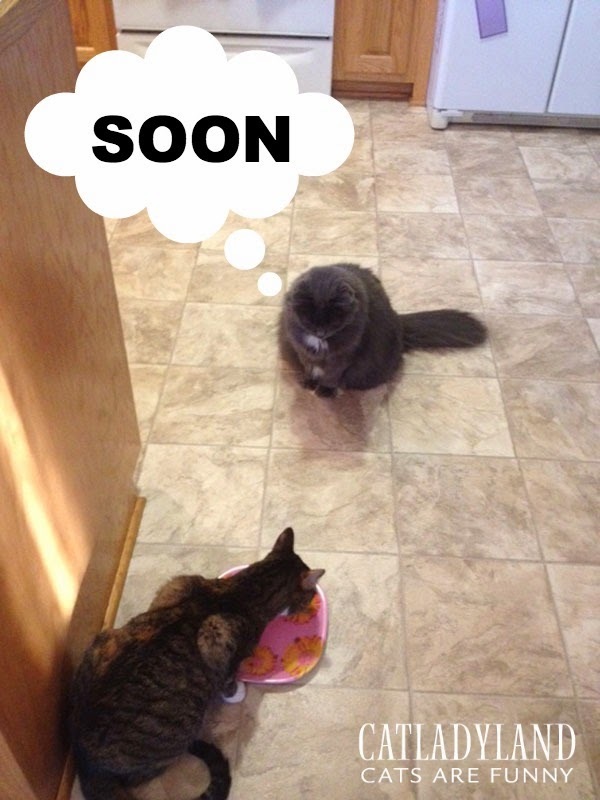 She cleans her plate and then stands behind the other two cats, hoping to intimidate them, thus snagging the few bites that may be left on the dish. She's kind of like a cafeteria bully. We knew we had to monitor her food intake more closely and make a conscious effort to engage her in activity. No more mocha lattes for Saffy. I kid, but we did take the the cat weight loss journey very seriously. Oh, and treats? We realized we were handing them out several times a day, calling them "snacks." Those snacks really stacked up the calories at the end of the day. And if you're someone who gives their table scraps as a "treat," please know that what feels like a treat to us, could be the equivalent of a complete meal for a cat. Take a look at this Treat Translator tool for more scoop on the subject. 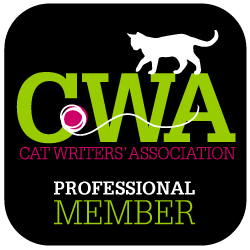 Oh, and if you're interested in learning about how human weight in pounds compares to cat weight, you'll find this tool really helpful. Perhaps you share your life with an overweight cat and are looking for for guidance during your cat's weight loss journey. Well, Hill's® Science Diet® is ready to partner with you. 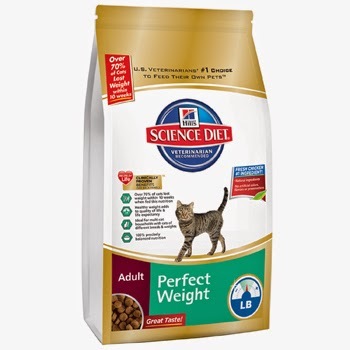 Their breakthrough new blend, Hill's® Science Diet® Adult Perfect Weight is formulated with natural ingredients and actually helps cats burn calories. I'm not kidding! More than 70% of dogs and cats lost weight within ten weeks of eating the food. And guess what? Hill's® Science Diet® and Catladyland are teaming up to help you along during the weight loss process. And unlike many weight loss journeys, it's fun! 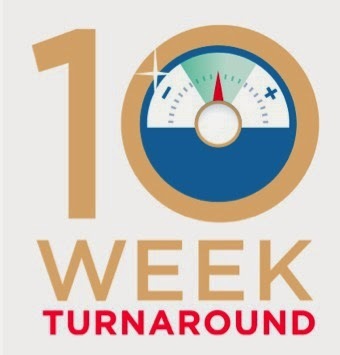 We invite you to join the 10-Week Turnaround Sweepstakes -- and it's simple. You commit to feeding your cat Hill's® Science Diet® Adult Perfect Weight cat food for ten weeks and share their success along the way. And by participating in the program, you'll be eligible for bi-weekly sweepstakes, as well as a grand prize of FREE Perfect Weight food for a whole year! Win-win, right? So go ahead, join! Now I'm waiting for Hills to come out with a calorie-burning mocha latte. C'mon guys!